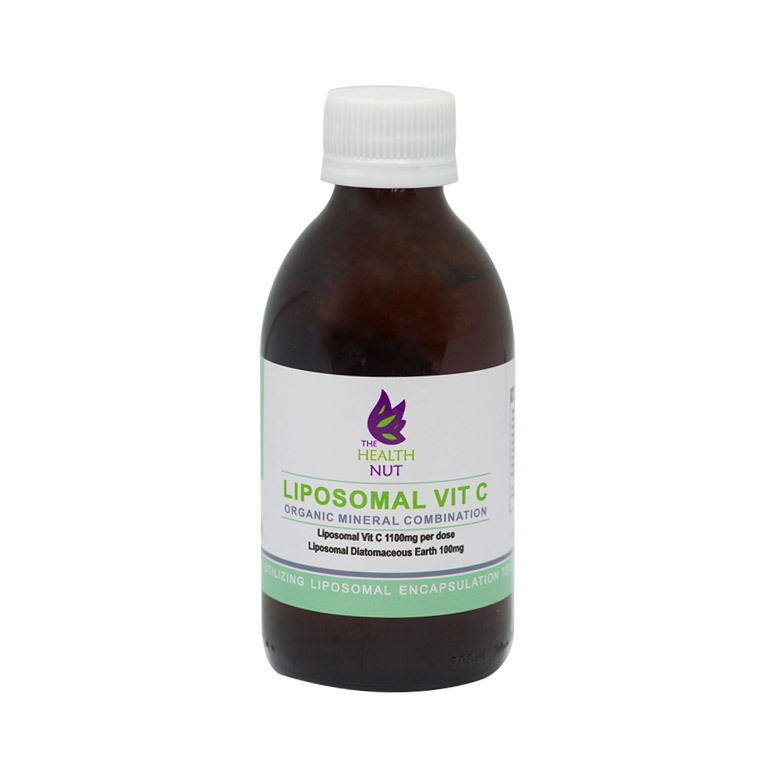 The Health Nut’s Liposomal Vitamin C contains No Alcohol, No Soya, No Sugar, is Non-GMO, Gluten Free and Hexane Free. 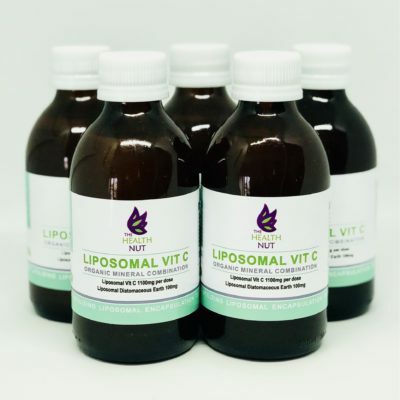 The Health Nut’s Liposomal Vitamin C encapsulates the C molecules in liposomes made from Essential Phospholipids, which protect the vitamin C from destruction in the digestive system. 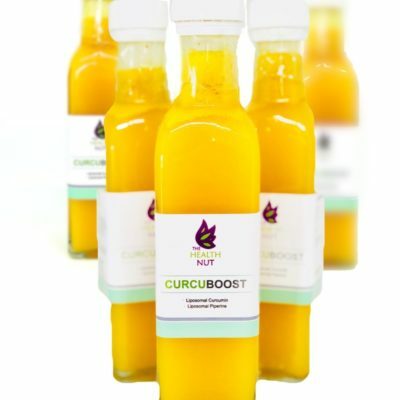 Within minutes of taking The Health Nut’s Liposomal Vitamin C, liposomes filled with vitamin C are transported directly into your bloodstream, and into your cells. This liposome-encapsulated form of vitamin C is the first choice of people who really understand bioavailability and the importance of high-dose vitamin C. Other forms of vitamin C succumb to absorption barriers that vastly limit the level of vitamin C that can enter the bloodstream. The Health Nut’s Liposomal Vitamin C crashes through these barriers to get high potency vitamin C where you need it most, your cells. 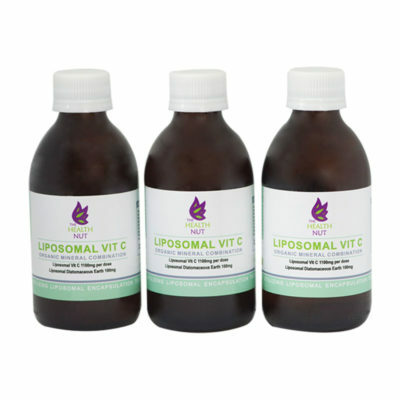 How Does The Health Nut’s Liposomal Vitamin C work? The benefits of vitamin C are well known. What is lesser known by the public is that high dose vitamin C is poorly tolerated and will cause intestinal discomfort. That is, unless the high-dose vitamin C is taken in liposomal form. The Health Nut’s Liposomal vitamin C is a very good alternative to injections and IV (intravenous drip). It may actually be easier, because the liposomal vitamin C is not only fully absorbed, but since it is taken orally, it can be used daily and even several times a day. Daily administration of IV and injections are quite unpractical, and are not free of risks. Certain individuals react to vitamin C with intestinal problems, including diarrhea. Even individuals with a high tolerance to vitamin C will at very high doses eventually experience the same problems. High vitamin C doses are usually prescribed by doctors and other health care practitioners, and are administered in a clinical setting. That’s mainly because of the fact that these doses are injected. The full absorption in liposomal form is a practical way to avoid sticking needles. Vitamin C liposomes are absorbed in a very unique manner. Liposomes are microscopic fat balls, the width of a single hair strand. These microscopic fat particles are made from phospholipids and have a cargo load, in the form of a nutrient hidden inside. These phospholipids are the same as in egg yolk or krill oil. The liposomes are absorbed by melting into the human cell, since they have an outer layer (membrane) that is made from the same phospholipids as the cell membrane. The liposome and the cell basically merge like two soap bells will merge when they touch each other. The content of the two spheres will also blend together and in this ingenious way the vitamin C in the liposome is directly delivered into the cell. Liposomal absorption is very different from intestinal absorption. Most nutrients and drugs are molecules that are too large to be absorbed. The most common way for food absorption is to break down the nutritional molecules to a size where they can slip between the stomach and intestinal cell walls and enter the blood stream. The liver and other organs then re-assemble the molecules. Liposomal vitamin C absorption is very different because it directly enters the cell. The fat layer of the liposome protects the vitamin C from coming into direct contact with the stomach and intestines. 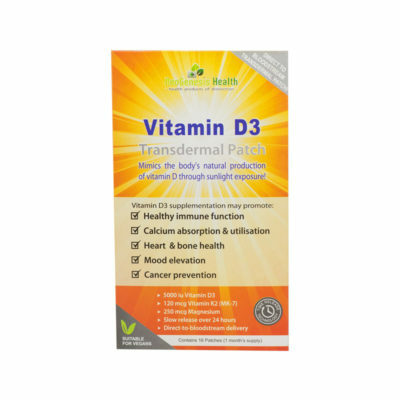 This protection prevents the intestinal side effects of ascorbic acid (vitamin C). Liposomes are designed to minimize intestinal discomfort, since certain individuals have difficulty tolerating vitamin C therapy at the clinically relevant higher doses. The recommended daily dosage for liposomal vitamin C is typically 1,000 mg. In certain cases doctors may prescribe more. As a dietary supplement, take 5ml 1 to 2 times per day, or as directed by a healthcare practitioner. Children under 12 can take 2,5ml 1 to 2 times per day, or as directed by a healthcare practitioner. For best results, pour into one or more ounces of your favorite cool beverage, drink on an empty stomach, and wait at least 15 minutes before eating for maximum absorption. We do not recommend mixing in hot beverages, because this could damage the liposomes. We also do not recommend blending in a food processor or blender. Ascorbic Acid, Fulvic Acid, Coconut Oil, Liposomal Diatomaceous Earth and Deionized water. This product is shelf stable, does not require refrigeration and will be sent to you via The Courier Guy shipping that includes tracking. Just as I received my Nordens Ultimate Liposomal Vitamin C my young son and I began to get sore throats and flu-like symptoms. We started taking the Vitamin C (a full teaspoon for myself and half a teaspoon mixed in honey for my son) as well at the Organi-mune drops, also from The Health Nut. Our symptoms didn’t get any worse (as is usually the pattern, especially for my son). Within two days we had recovered. I love the fact that there are no gastric problems with this Vitamin C, and that it is gluten and sugar free, as well as being GMO free. The order and delivery process were easy and efficient. Delighted to have found this Vitamin C.
After battling to get my son’s immune system boosted as to not get a cold every two weeks, I started giving him 5ml of Liposomal Vit C and Organimune. The difference was remarkable and almost instantaneous. I will never be without this in my medicine repertoire! This stuff is the bomb!!! I give it to both my baby and toddler to boost and maintain their immune systems, and dose myself and hubby when cold symptoms start and it keeps us all healthy or reduces symptoms. Fantastic stuff. My Grandma had severe colon cancer spreading to her liver and the doctors said she had a only a few months of life left. I put her on a vegan diet and gave her mega doses of this Liposomal Vit C (a total of 16 teaspoons a day).After 3 months she started rapidly recovering. Its now been 6 months and she’s better than ever! No more swolen legs no more pain, NO MORE CANCER! I thank the Lord for this great product! I always have a bottle of this Vitamin C in my fridge – easy to mix into juice for little ones and really packs a punch. I bought some for my 61 year old Mom after she returned home from a trip to Vietnam and had a chest infection, doctor gave her 2 sets of anti-biotics, basically did nothing and she was not getting any better, just a consistent cough. 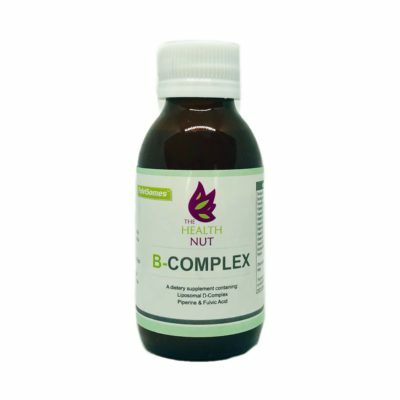 After taking this for 5 days in a row, she started to feel a big difference and within 2 weeks she was 100% – considering she had been sick for almost 8 weeks at that point, we are convinced that this is what helped her immune system fight back. I give my daughter Liposil vit c to boost her Immunity and was amazed that with a house full patients with chickenpox she did not get sick. I really feel that this product works wonders. Liposomal Vitamin C has without a doubt become my absolute favourite product! We always have a bottle on hand in our home. I feel lost if I don’t have a bottle in my cupboard. Since being a first time mom my health concerns have been at the forefront especially for my baby boy. I have been taking lipo for a year now. For myself: I am 33 years and have always struggled with a facial break out and since taking lipo have noticed a big change in the look and feel of my skin. I now have very little to no break out since taking it and have a beautiful glow. I also feel improved elasticity. Lipo has become part of my beauty routine and a plus is it keeps me from any floating around illnesses. For my baby: I started lipo while breastfeeding to ensure my baby got as much nourished milk as possible. When he turned 6 months he has been taking it every morning since. I have noticed a difference in his alertness compared to other babies his age. He has also never been ill and is 1 year old, he is extremely healthy. 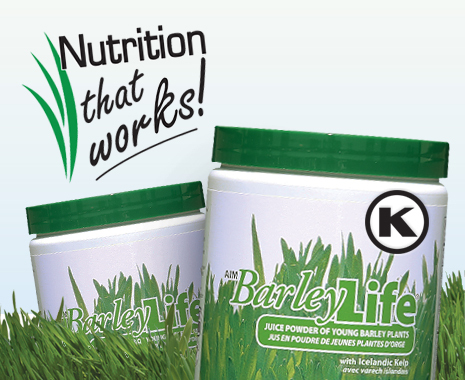 Thank you for this amazing life changing product, it is by far my must have! Everyone needs to know about this amazing product!